Specifications of Indian cashew kernels are as per international standards . We can offer the following grades maintaining quality parameters according to the requirement of the customer/buyer. 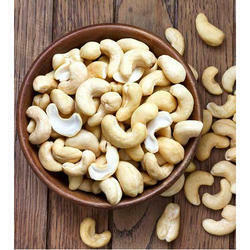 We sell Cashew Nuts - Raw and Processed and Flavored (RCN). 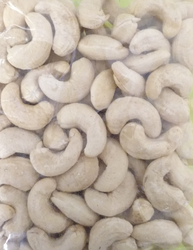 Cashew Nut are derived from cashew tree is a tropical evergreen tree that produces the cashew seed and the cashew apple.The cashew nut can also be harvested in its tender form, when the shell has not hardened and is green in color. Our Client can avail from an wide range of Cashew Kernels (W-210) . These are made by high quality raw material which is procured by reliable vendors. We follow stringent quality measures right from the stage of procurement of raw materials to the stage of final product delivery. With our expertise in this domain, we share a forefront for exporting and supplying of W210 Cashew Nuts from Gujarat, India. We source the product from certified vendors for quality assurance. Over the years, we have gained immense maturity for dealing small as well as bulk orders of W210 Cashew Nuts. W210 Cashew Nuts are provided in quality packaging to keep them free from contaminants.